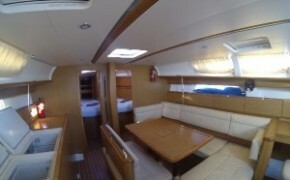 April Sailing in Turkey Great winds, Great sailing. Watch the video clip. View crystal clear waters at Phoenix beach & witness a disaster. Please be aware no-one was hurt during or after filming. 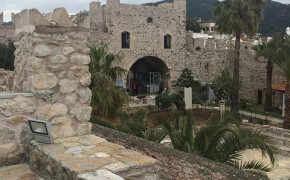 Explore Marmaris Castle & Museum when you travel to Marmaris. Zig Zag is a high-performance cruising yacht built for comfort & designed for those looking for a fun week of sailing, offering a combination of excellent equipment & great performance. "It doesn’t get much better than this for a fantastic sailing holiday, but don’t just take our word for it………"
It was also nice to know that Mark & Stef were keeping an eye on our location & on the weather & reassuring to know someone was making sure we were safe. We have had a fantastic sail again, very enjoyable. Day 1. Start of our journey with Voyager. It was raining in the afternoon and evening so we did not set out. We enjoyed the day in Marmaris, made our provisions and had dinner in Mercin.